Dallas wanted you to have “The List” because there are a lot of people who would like help from Dallas. Dallas helps people who PUT the work in! If he sees you complete this list…than he’ll KNOW you’re willing to put in the work…and HE’LL put the work in with you! Check out the food documentaries…it’s REALLY eye-opening to see what we’ve been putting in our bodies!! If you have any questions on anything with The List…let me know! 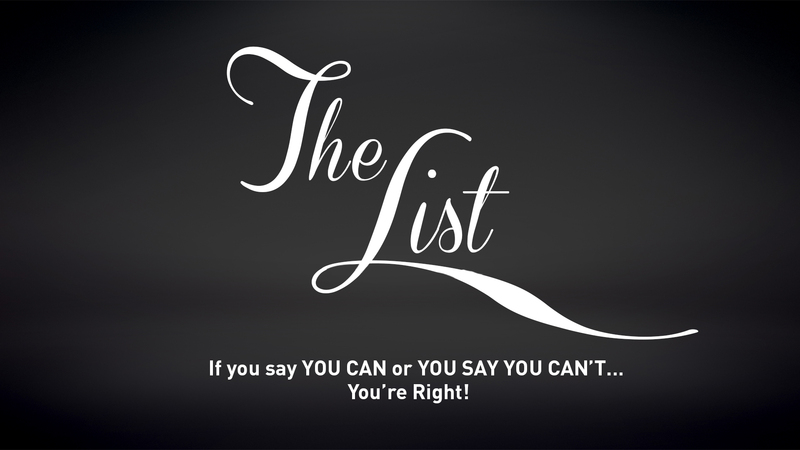 YOU SAY YOU CAN’T… You’re Right! Go to www.DDPYOGA.com and get the program. This next section will be done on the DDP YOGA NOW App under that Tracker section. 2. Post your personal goals using the “Blog Post” feature on your TeamDDPYOGA.compage. Your goals can be weight-related, or can pertain to your personal body image, or can be about any lifestyle transformation you’d like to achieve. 3. Read “What To Eat” and articles in the Gluten/Dairy Free section of TeamDDPYoga.com. Then, journal your daily food intake for seven days and post it on your page using the “Blog Post” feature. Add a comment – I will be checking to make sure you did it, so don’t skip this step! 7. Watch Arthurs video whenever you’re looking for inspiration! Then watch these movies that cover some of the nutrition-related issues that I believe deeply affect the body’s ability to heal and perform. 9. You HAVE to watch these documentaries!!! They are very eye opening and actually very SCARY of what we put into our bodies!! This will help you understand HOW important food/nutrition is! With the exception of Genetic Roulette, the other 3 movies are available on Netflix. Genetic Roulette is available on Amazon for $3.99 to rent…BUT you can join through Giam for a free trial! Netflix, if you don’t have it, you can join for a free month trial as well!